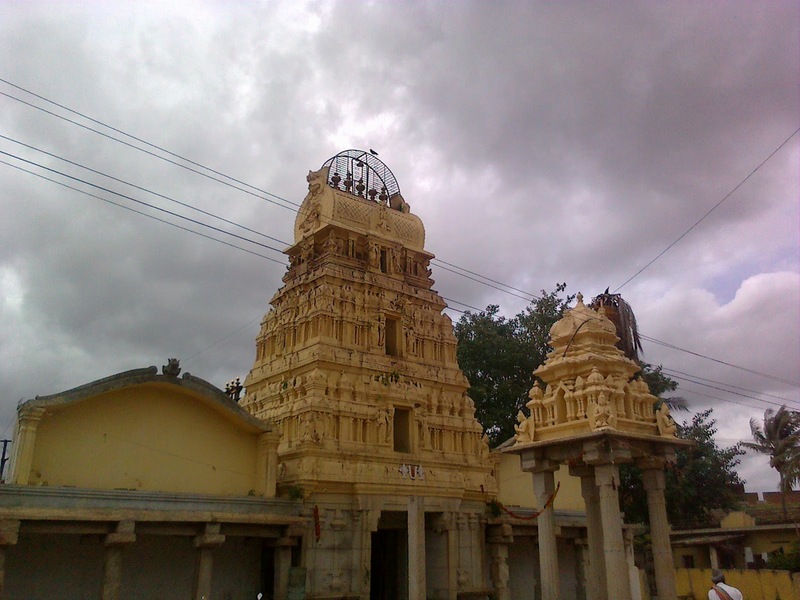 Devanahalli is a small town located at a distance of 35 kms from Bangalore. There is lot of history associated with this place and there exists a beautiful Fort. 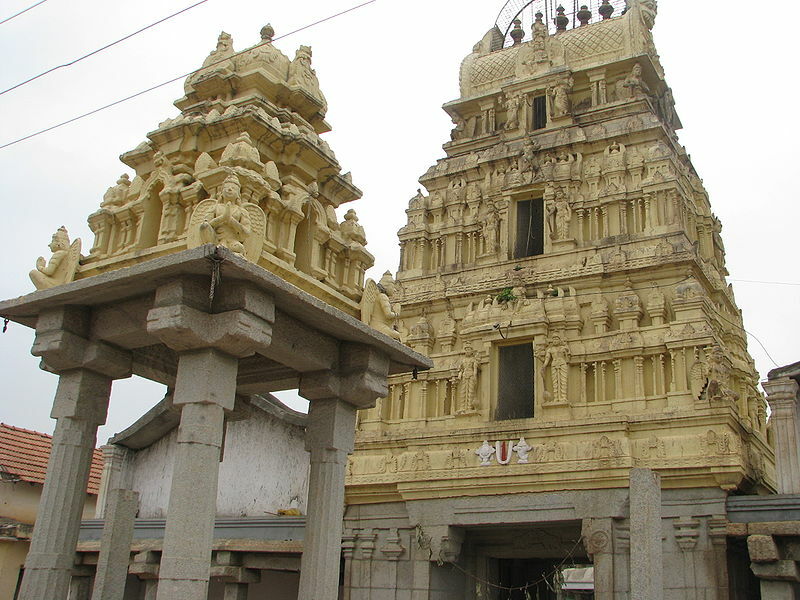 There are many temples in the fort dedicated to Venugopalaswamy, Nanjundeshwara, Chandramauleshwara, Veerabhadraswamy, Ranganathaswamy etc., which belong to various era. Devanahalli is a small town on the outskirts of Bangalore. The town shot into fame the day it was chosen for the construction of International Airport. Devanahalli also is a potential tourist and heritage hotspot. Ranabera Gowda was the resident of Kanchi and later on he came and settled in a village named Avathi near Benthakalur (Modern day Bangalore). One day a Hailstorm and rain came and it washed away their settlement. Then they collected all the belongings whatever they could lay hand, and kept them under a tree, then one broom stick got struck in a ant hill and when they tried to pull it did not come , so they left it and slept under a tree. In night they got a dream that in the ant hill there are seven vessels of Gold and jewelry , then a idol of Venugopala Swamy and Thimarayana Swami are there and they should do the Prathistai of the same. Then next day they dug out the Treasure and also the Idols of both the Perumal and did Prathistai of Thimarayana Swami in Gauthama Giri Beta and They came to Devanahalli as they wanted to build a Fort of their own and also do Prathistai of the Venugopala Swami. At that time one Pallegara named Deve Gowda who had a fort built in mud. They requested Deve Gowda that they want to build a Fort of Stone and also build temple for Venugopala , Deve Gowda told i will give the place for building both the Temple and Fort , but you should keep my name to the new place. So they Build the Temple and Fort and Named the place as Devana Halli and the place is 500 years old. So this is the history of Devanahalli. This Kote was build by the Pallegara. Devanahalli is also famous because Hyder Ali resided here and some people say his son Tipu Sultan ( The Tiger of Mysore ) was born here . Our Hyder was working for Land Lord named Drona Raya a Madhava Brahmin . Hyder was looking after the cows. every day he used to take the cows for grazing and did all household work. One day Hyder was tired and when he took the cows for grazing , so he slept off. Then he did not go to Land Lords House for the Lunch , so his master came in search of him. Behold they were stunned to see a Cobra raised his hood and was protecting him from sun. Then Drona Raya immediately thought that this person is having a big Yoga and he will rule the Country one day. So Master took him and gave him nice lunch with Vade and Payasa ( Vade and Payasa is prepared only on special occasion and festivals) . Then Hyder asked his master that what is the special occasion , for that master told that you are going to have a bright future. Then after some time the Army contingent came to Devanahalli and Hyder joined them as the stable hand .Then he slowly became a sepoy then a Commander in chief and then ruler of Mysore. Now you start your journey from Bangalore, then you reach Yelahanka then straight you go you will reach Devanahalli , As soon as you enter the place you get a small circle please turn to your left and then ask for Fort and Venugopala Temple, if you travel for 2 Kms you will get the Fort then you cross the fort you will be greeted by small three tier Gopuram. Then you enter you will get Vahana Mantapam then you will see our Rukmini Sathaya Bhama Sametha Venugopala , Then inside the sacred sanctorum you will find the Ustava Moorthy, then if you will you find Maha Lakshmi Thayar. 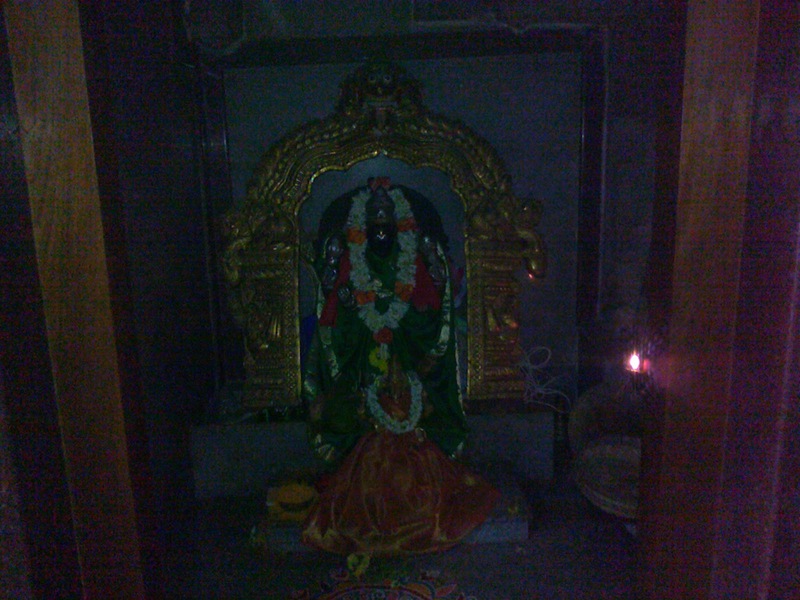 The Temple Timings are Daily Morning 7.00 AM to 10.00 PM and Evening 6.00 PM to 8.00 PM. PS : From here you can proceed to Thimarayana Beta to have have Darshan of Thimmaraya. You have to travel in route towards the Chikkaballapur road , then on left side you will get a sign board pointing route to Nandi Hills then take a left turn then travel for 4 Kms and you will get Ahuthi Village and turn towards right and motorable road to Thimarayana Beta (Hill) comes. 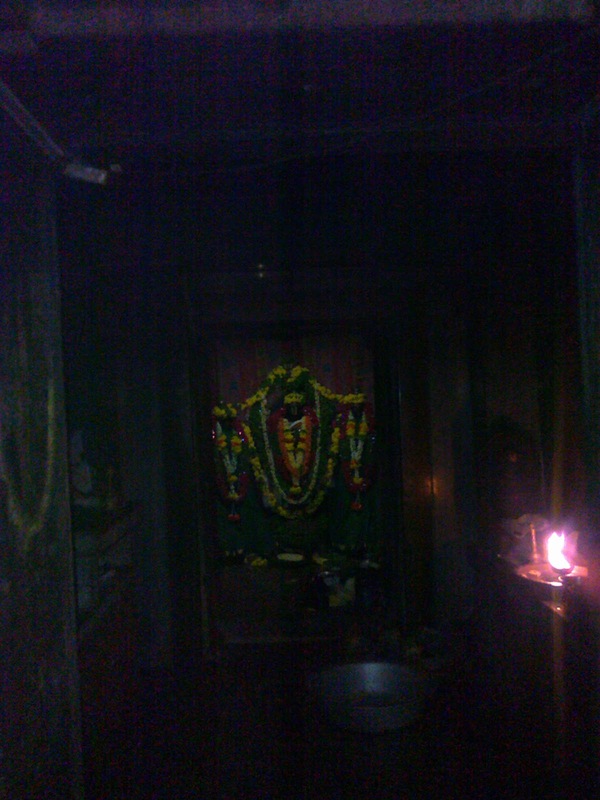 Have darshan come back in same route and then turn towards left to proceed to Chikkaballapur and then once you reach Chikkaballapur town please turn towards the Bus stand and travel in Gauribidanur road and after traveling for 5 kms on right side you will reach Sri Ranganatha Swami Temple of Sri Rangasthala.